Transferred to the University Archives in 1990 (Accession Number 90:51). The files came from W(illiam). Richard Gordon and included the records of the Investment Committee. This series within the Office of the Treasurer correspondence record group is arranged into four subseries: minute books (1927-1979), 0.25 cubic feet; minutes supporting papers (1928-1990), 3.5 cubic feet; Alfred Fitler Moore Estate (1947-1988), 1 cubic foot; general file (1923-1989), 2.5 cubic feet. The first two subseries are arranged chronologically by date of the meeting and the remaining series are arranged alphabetical by subject matter. The Trustees for the Moore School of Electrical Engineering were established by a bequest in the will of Alfred Fitler Moore. 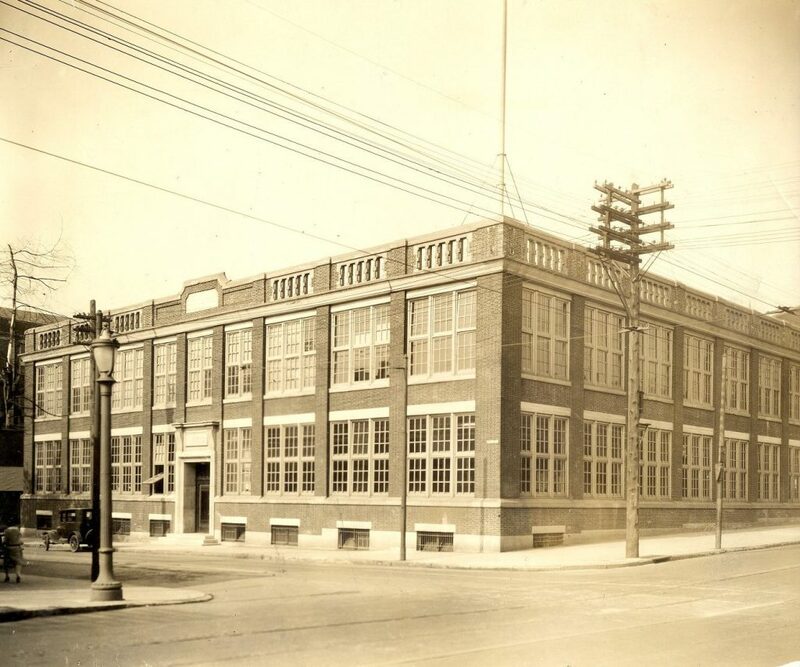 Moore was a wealthy Philadelphia manufacturer who died in 1912. After creating several trusts in his will for the lifetime of his wife and her siblings, he directed that the remainder of his estate be applied to a trust for the creation of school of electrical engineering. Moore requested that the school be named the Moore School of Electrical Engineering in memory of his parents, Joseph Moore and Cecilia Fitler Moore. The seven trustees of the trust to establish this school were to be appointed by the Orphans’ Court of Philadelphia. Upon the termination of the life trusts in 1923, the surviving executors of Alfred Fitler Moore’s will petitioned the Orphans’ Court for the formation of the board of trustees for the school. After the trustees were appointed they requested that the court approve an agreement with the University of Pennsylvania which would make the University the managers of the new school. The trustees had argued that the value of Moore’s estate ($1.5 million) was not enough to build a new school and that the best means to fulfill Moore’s wishes was to have the school become a department of the university. The court consented to this proposal and an agreement was concluded between the trustees for the Moore School and the trustees of the University of Pennsylvania. The trustees of the Moore School would cover the costs of the school for which the tuition pay. The trustees of the university would be ex officio members of the Board of Managers of school with full power to conduct the school. In accordance with the agreement approved by the Orphans’ Court the University of Pennsylvania pulled all the courses in electrical engineering from the Towne Scientific School and created a new department called the Moore School of Electrical Engineering in 1923. It operated the using the endowment created by Moore’s will. Most of the members of the Trustees of the Moore School often included the provost and president of the University of Pennsylvania. Beginning in the 1960s the income from the endowment, tuition and research grants was not enough to cover the expenses of the school. In time the university supported the school and the Moore trust was no longer sufficient to continue the school on its own. In 1989 the trustees of the Moore School under the will of Alfred Fitler Moore petitioned the Orphans’ Court for permission to appoint the University of Pennsylvania as the successor trustees and merge the trust directly into the endowment funds of the university. The Court granted this petition and the university created three endowed professorships from the trust’s funds. This collection contains all the official records the trust established for the benefit of the Moore School of Electrical Engineering. The first two subseries contain the minutes and supporting papers in the form of correspondence and reports used for the meetings of the trustees from 1927 to 1977, 1989 and 1990. The Alfred Fitler Moore Estate subseries contains legal documents and correspondence relating to the duty of the trustees in reporting their actions to the Philadelphia Orphans’ Court which has jurisdiction over the trust primarily from 1923 to 1977. It also includes several published agreements between the trustees of the will of Alfred Fitler Moore and the University of Pennsylvania. The general file subseries contains primarily financial records, such as audits and investment reports. There is also correspondence relating to the expenditure of the trusts funds and assets for the Moore School, particularly the Electromagnetic Wave Research Laboratory and Education Center near Valley Forge, Pennsylvania, the Graduate Research Center, and the X-Ray Laboratory Fund.